An invitation to architects and interior designers to a West Week special event at the Herman Miller showroom in Los Angeles celebrating 24 architects. 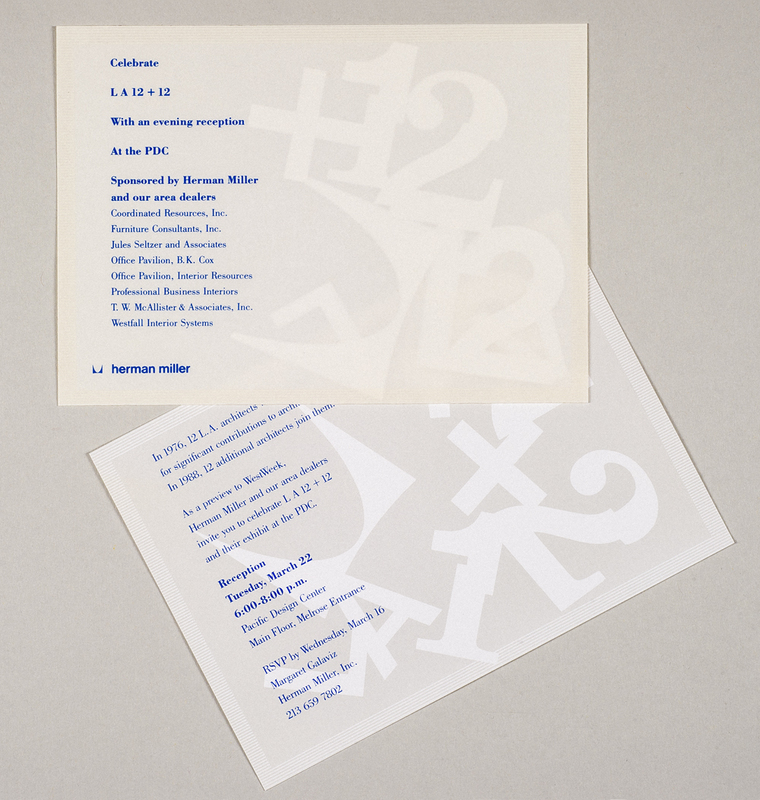 White letters, numbers, and the company logo were sealed inside a translucent pocket which could be shaken to rearrange the shapes. An additional card with the same shapes served as a ticket to attend the event. Size W 7" x H 5"
Paper/Material Invitation: Neenah UV Ultra II cover stock. Ticket: white Simpson Vicksburg cover stock. Techniques Invitation: offset printing, 2 spot colors. Letters, numbers, and loge: diecut, and inserted. Folded and sealed on all sides. Ticket: offset printing 2 spot colors.